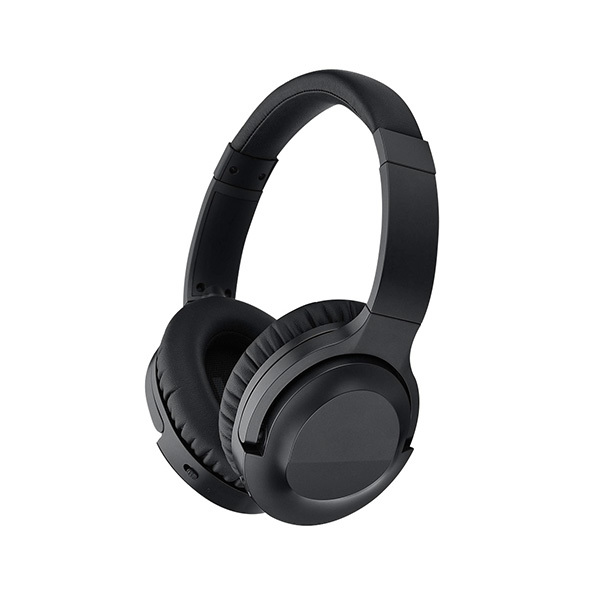 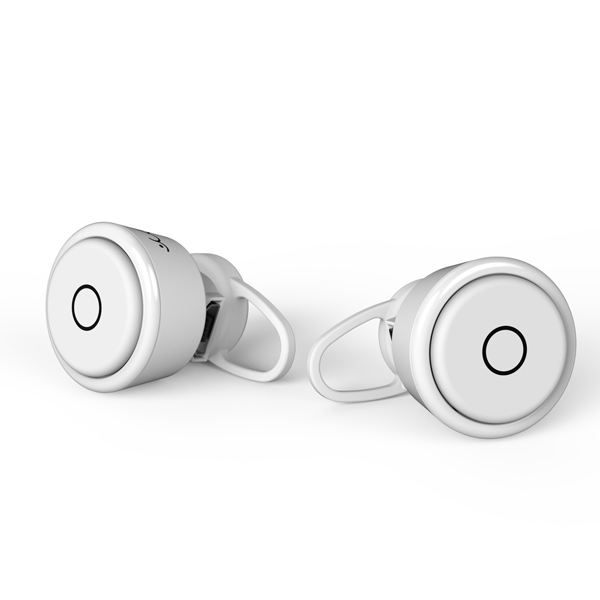 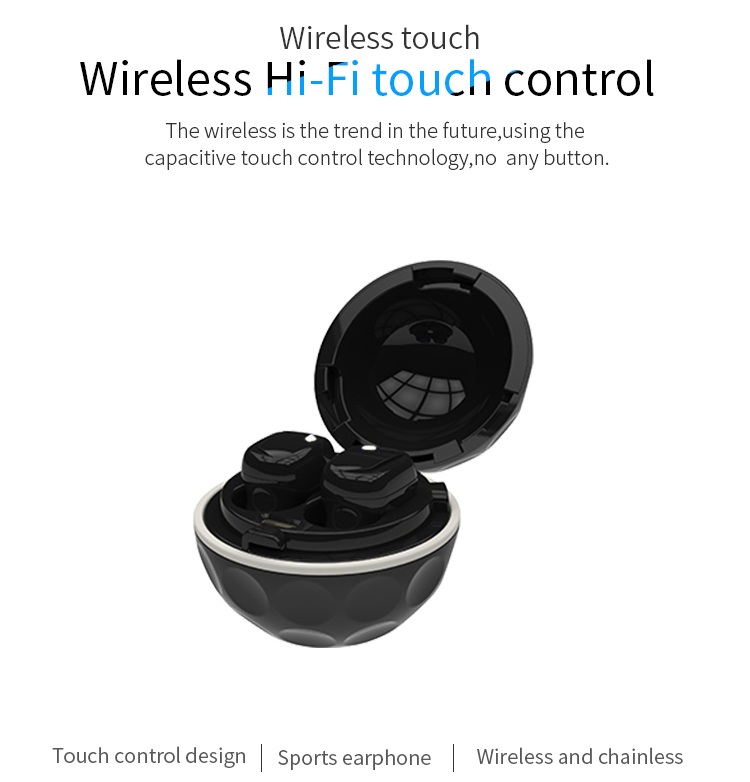 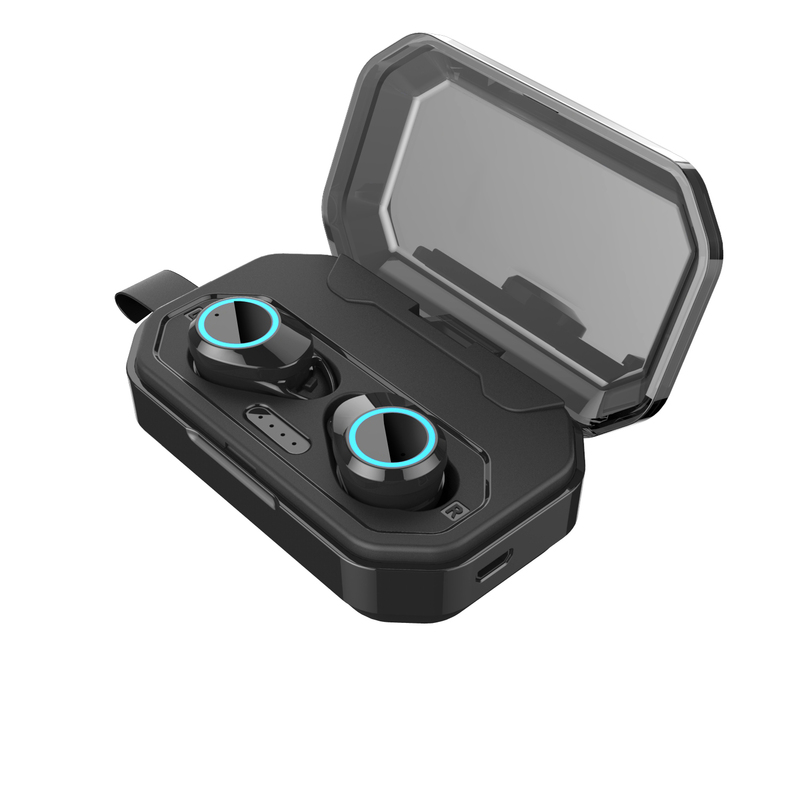 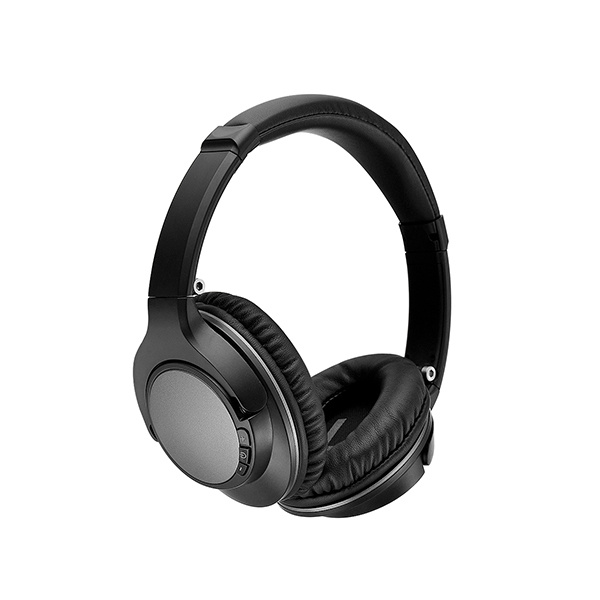 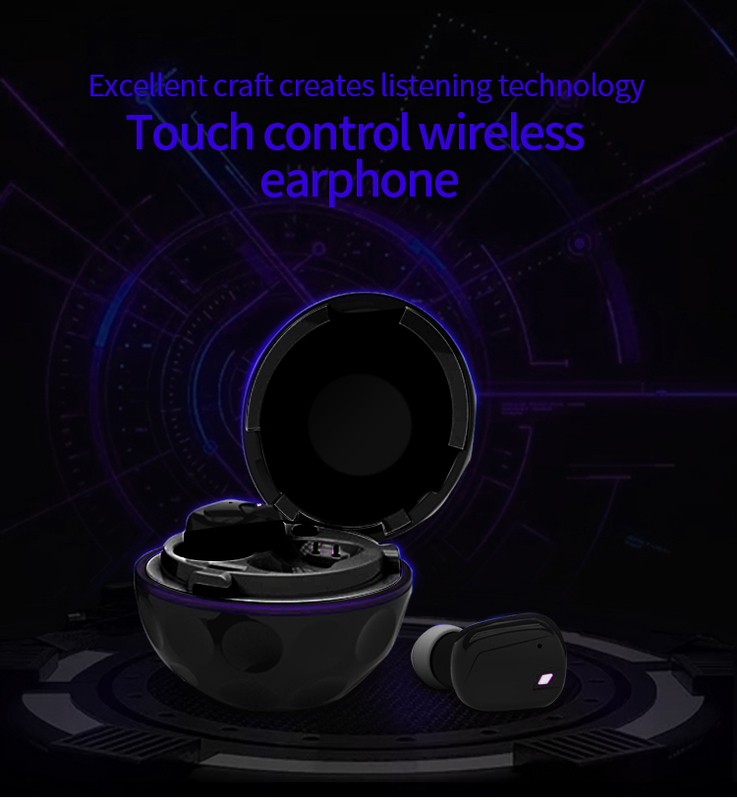 The wireless is the trend in the future,using the capacitive touch control technology,no any button. 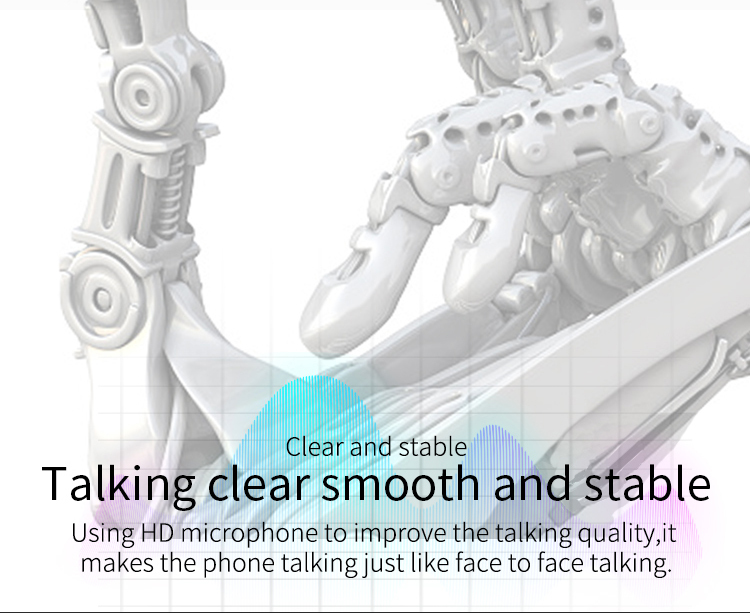 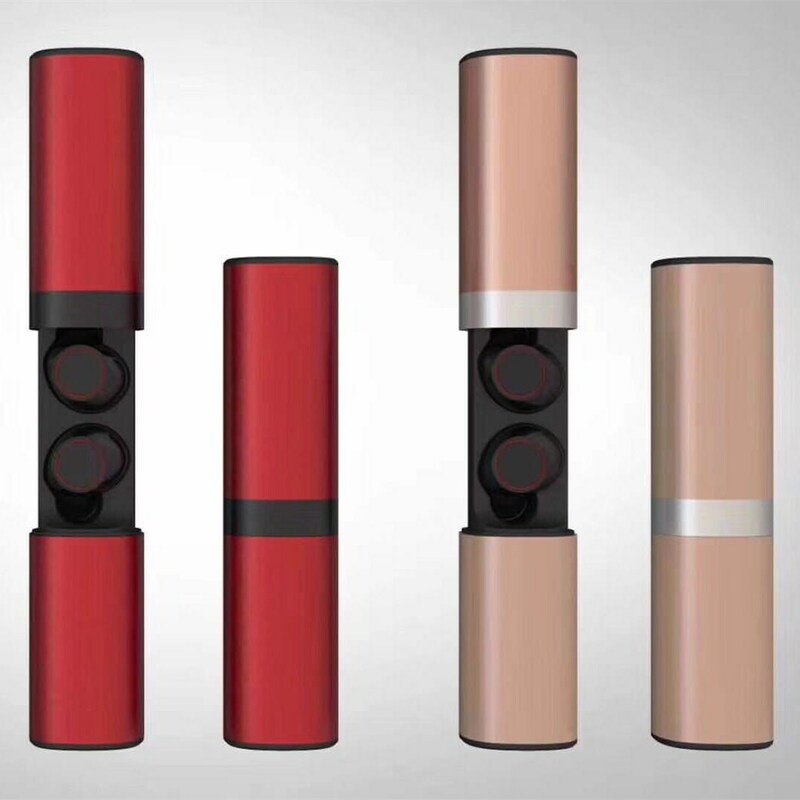 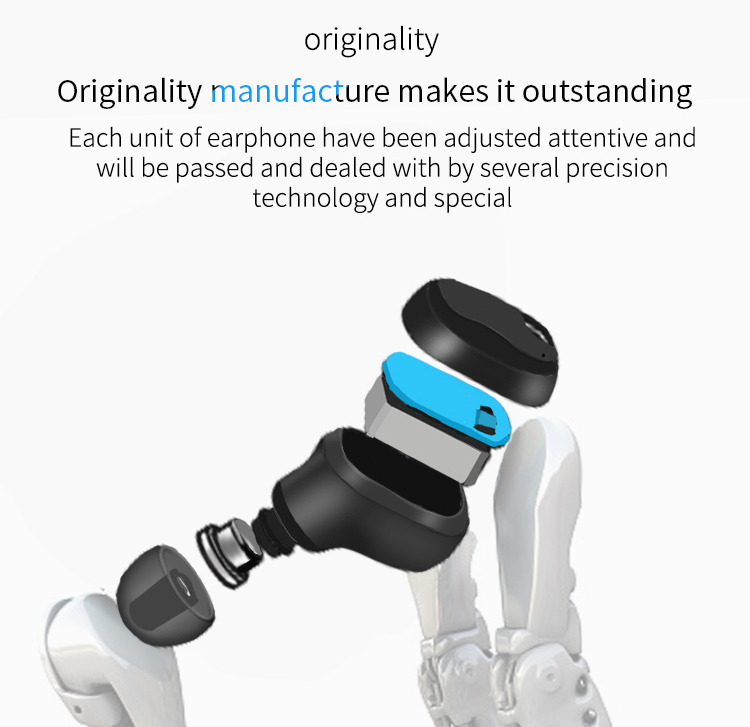 Using HD microphone to improve the talking quality,it makes the phone talking just like face to face talking. 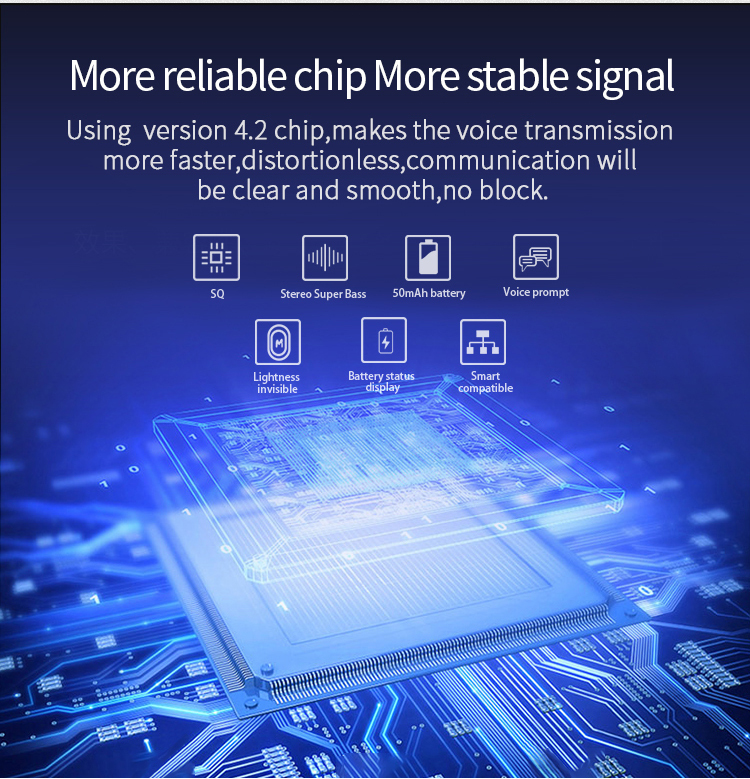 using version 4.2 chip,makes the voice transmission more faster,distortionless,communication will be clear and smooth,no black. 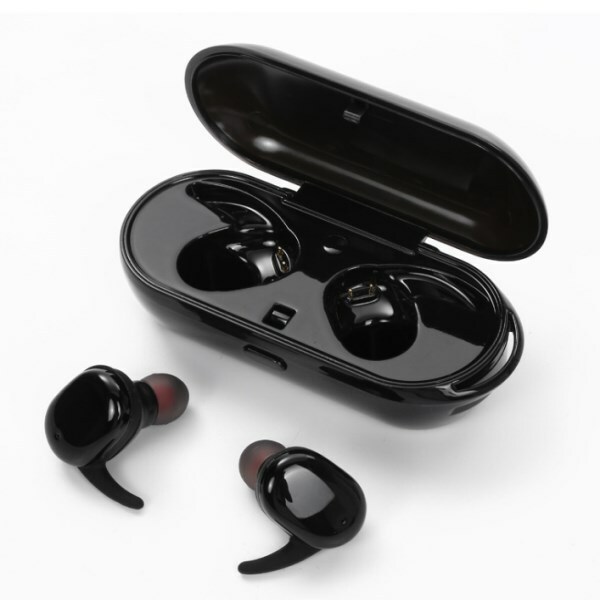 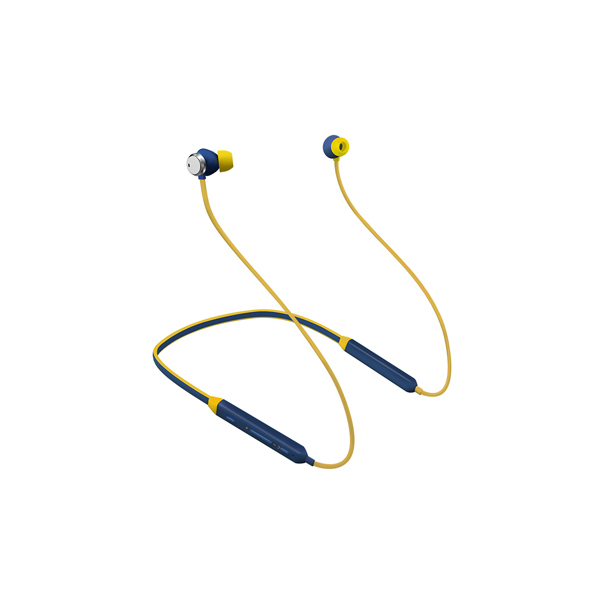 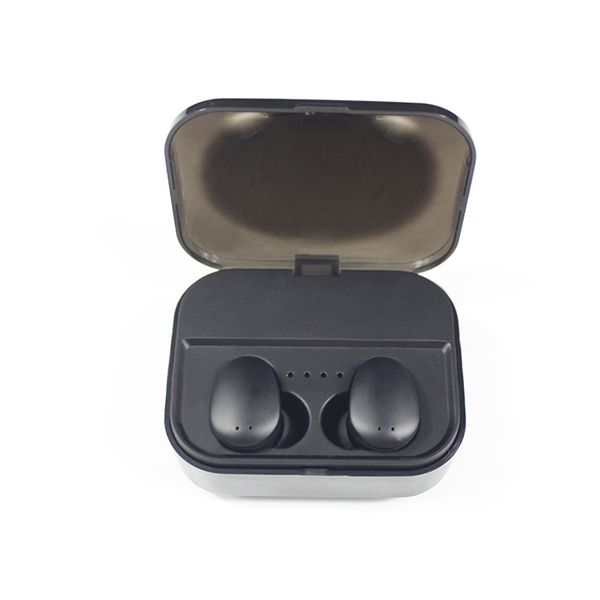 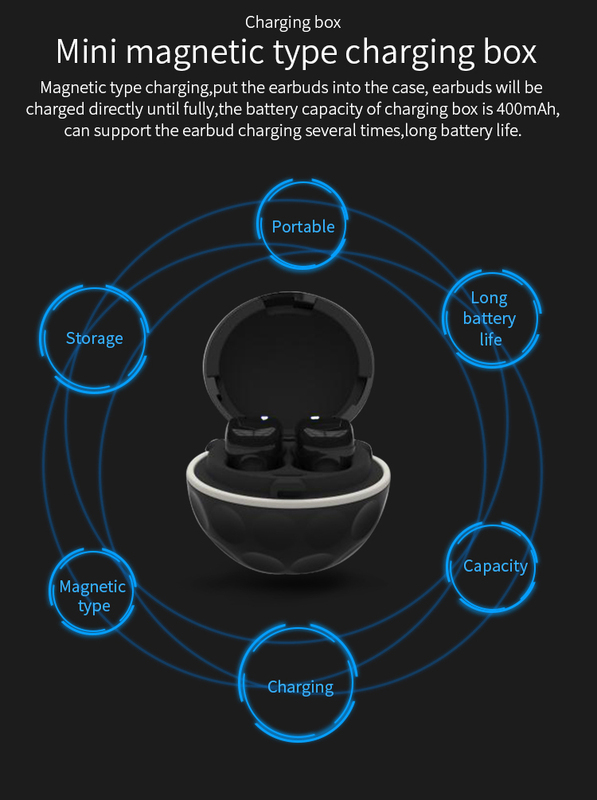 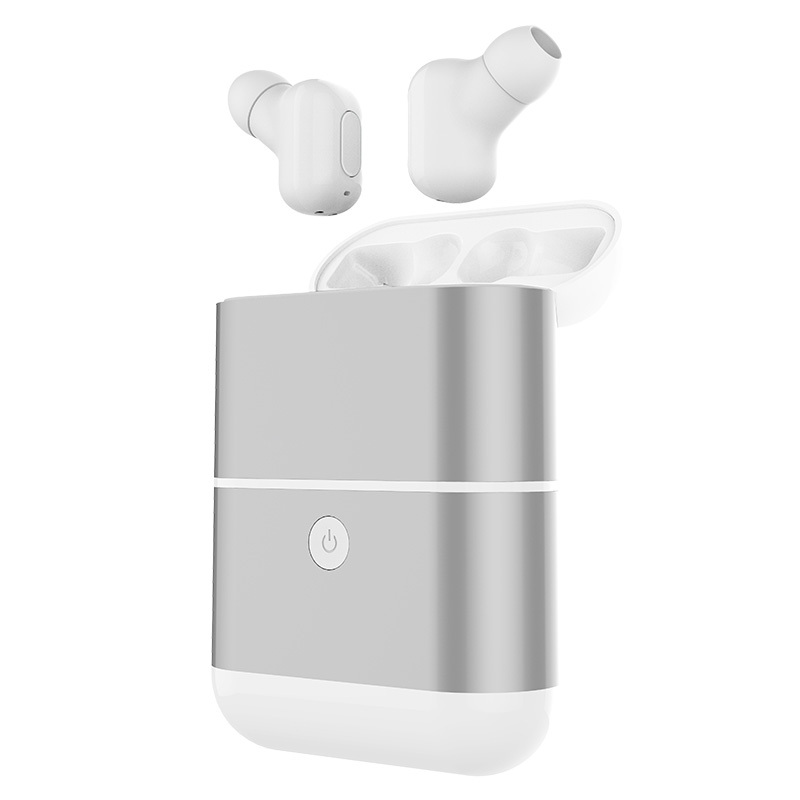 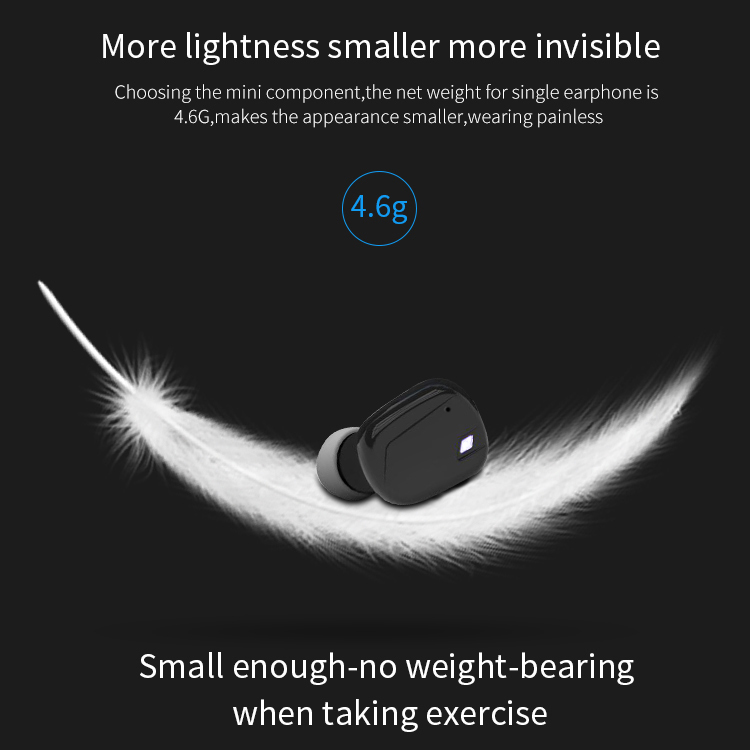 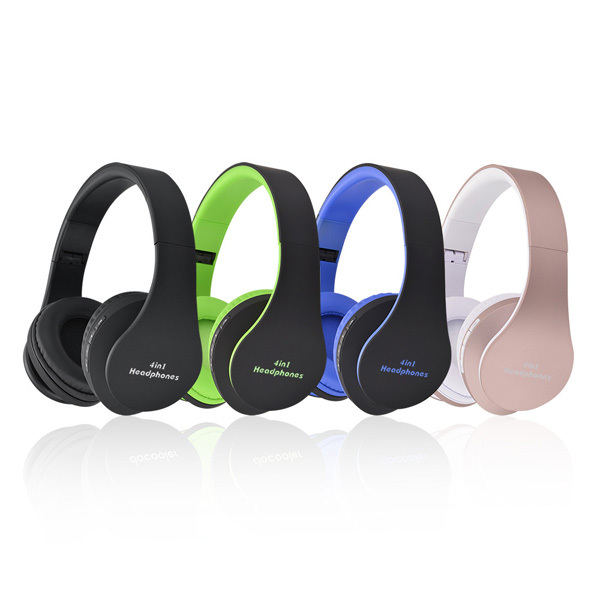 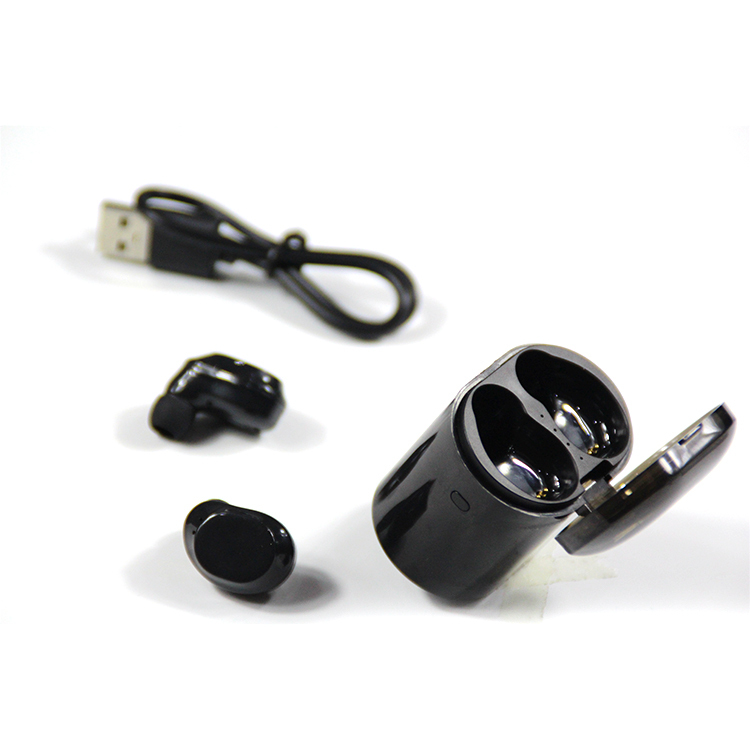 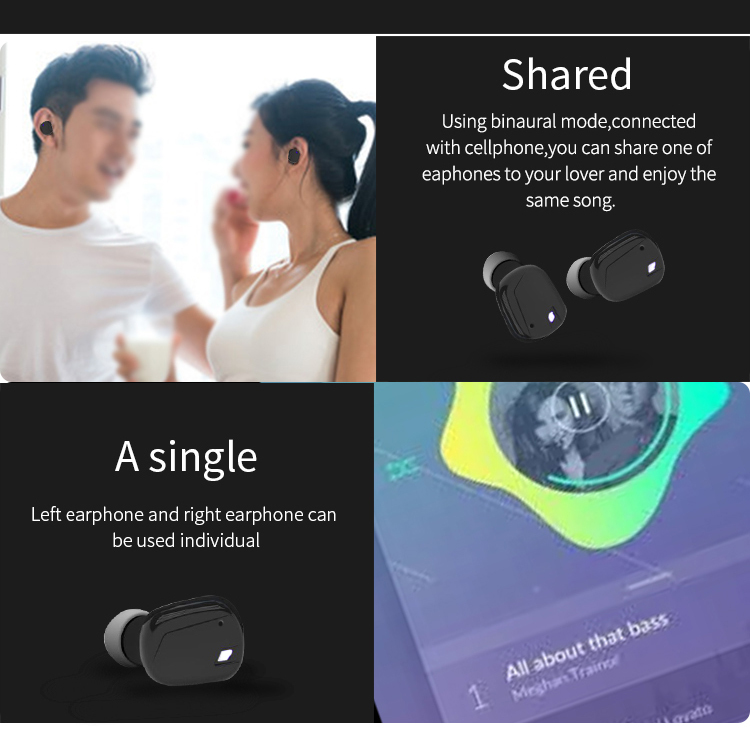 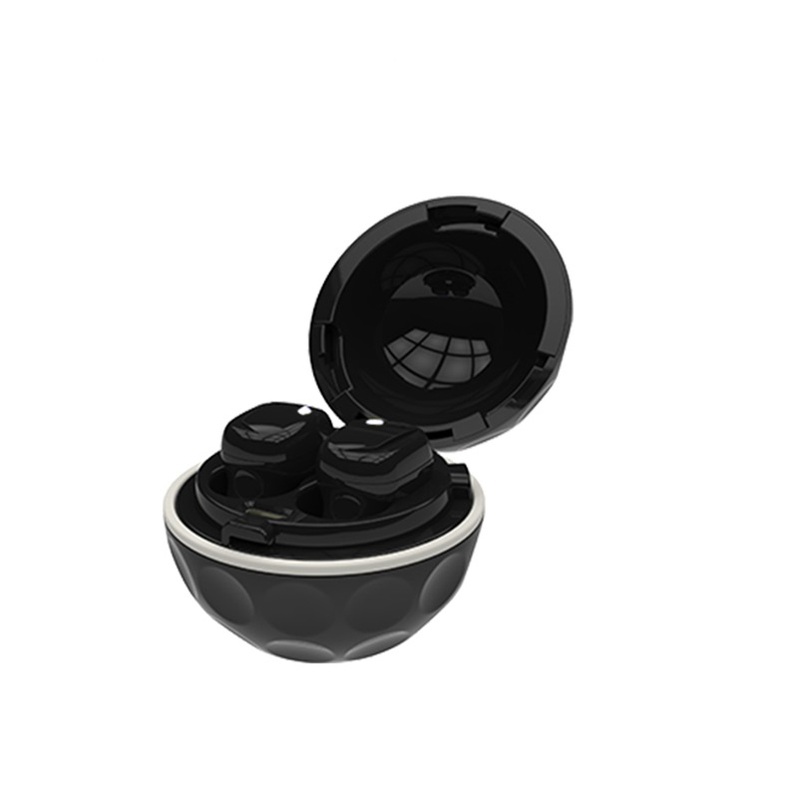 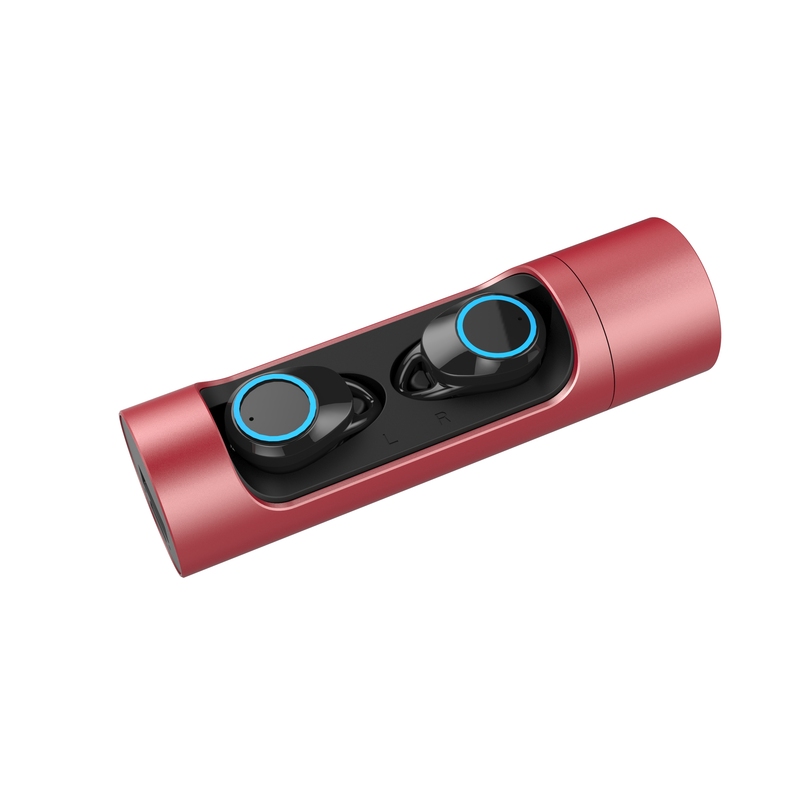 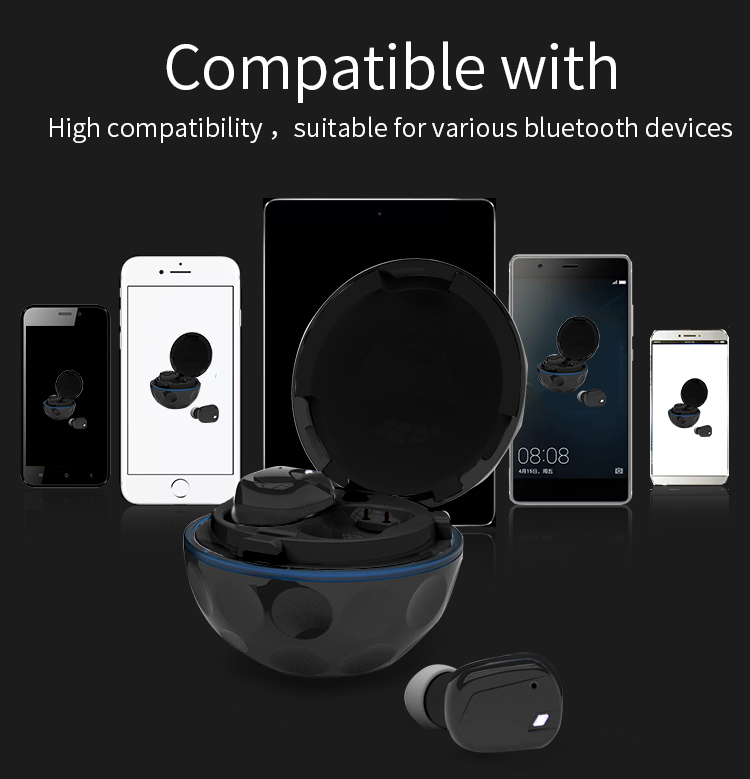 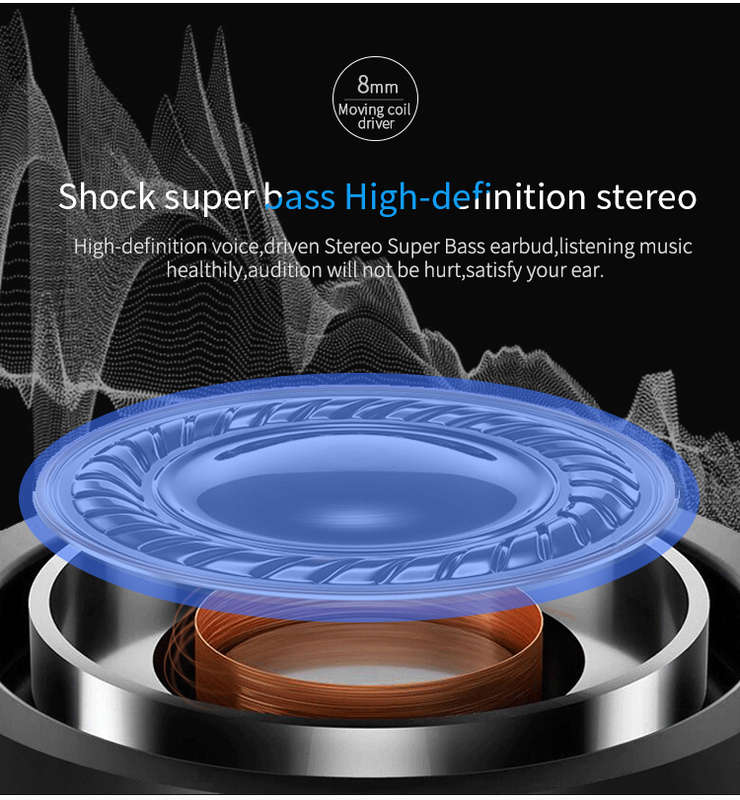 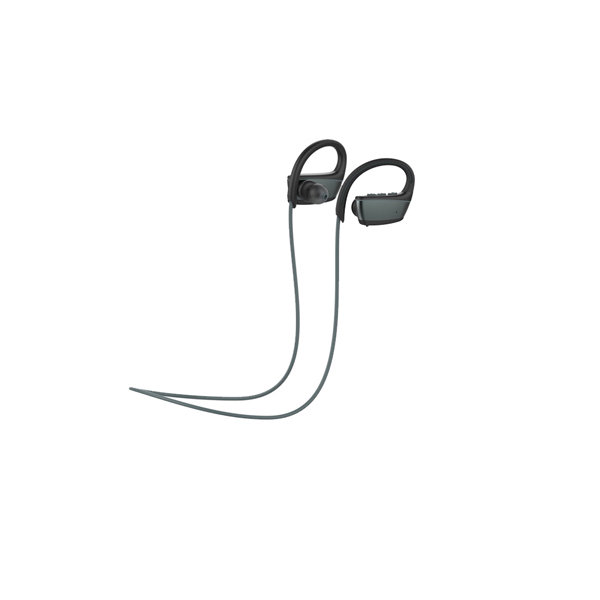 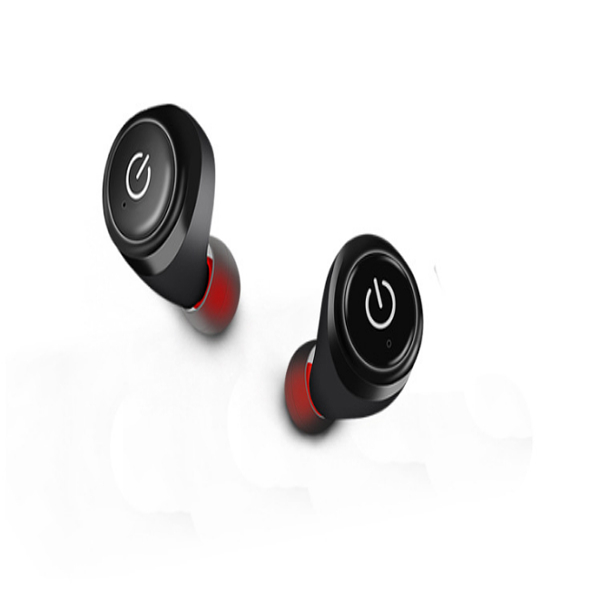 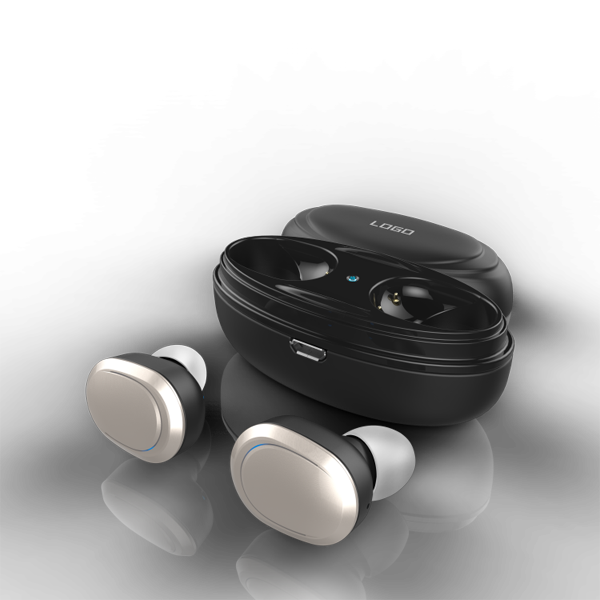 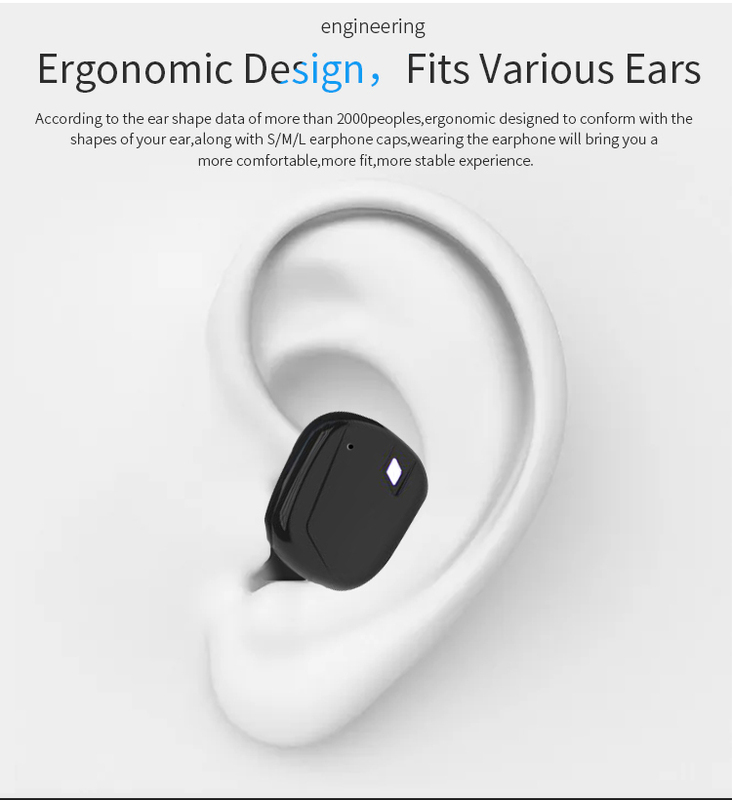 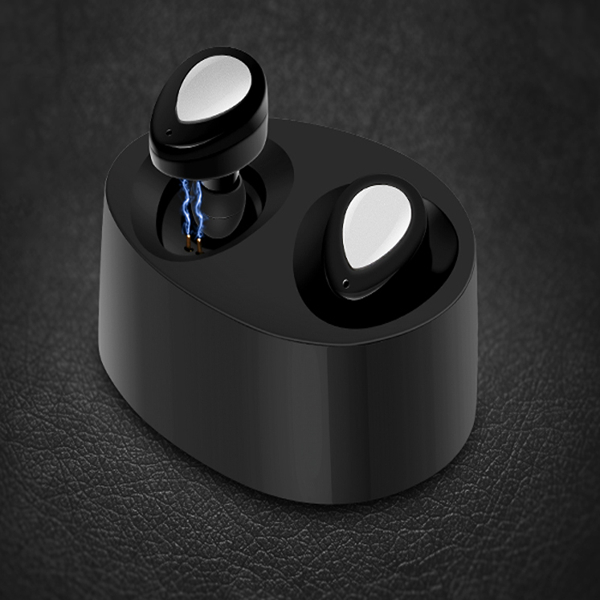 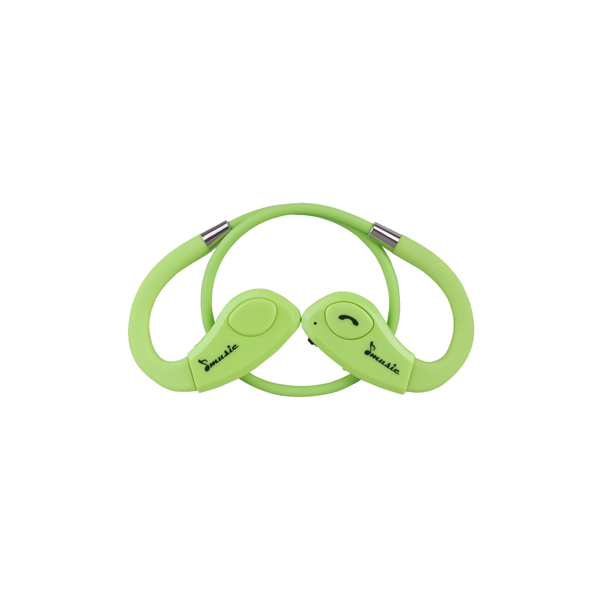 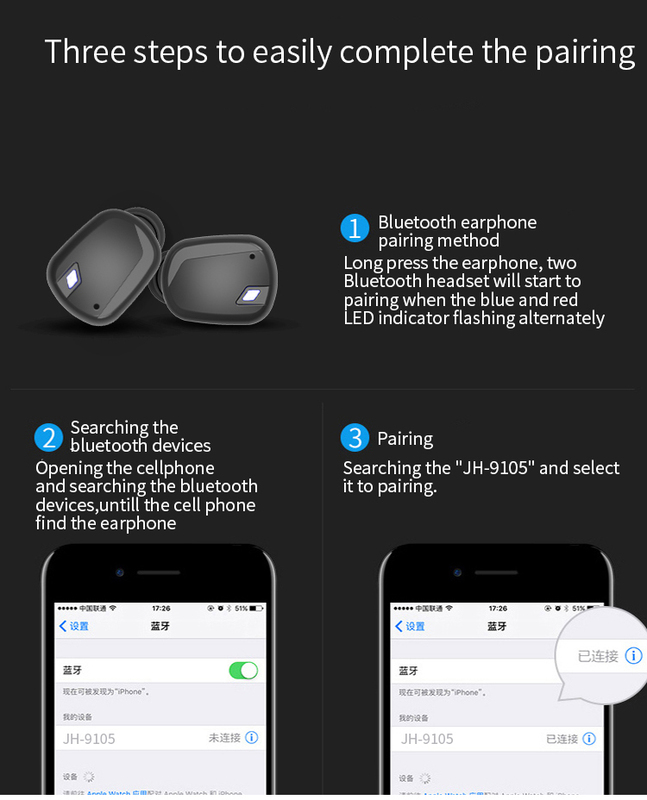 High-definition voice,driven stereo super bass earbud,listening music healthily. 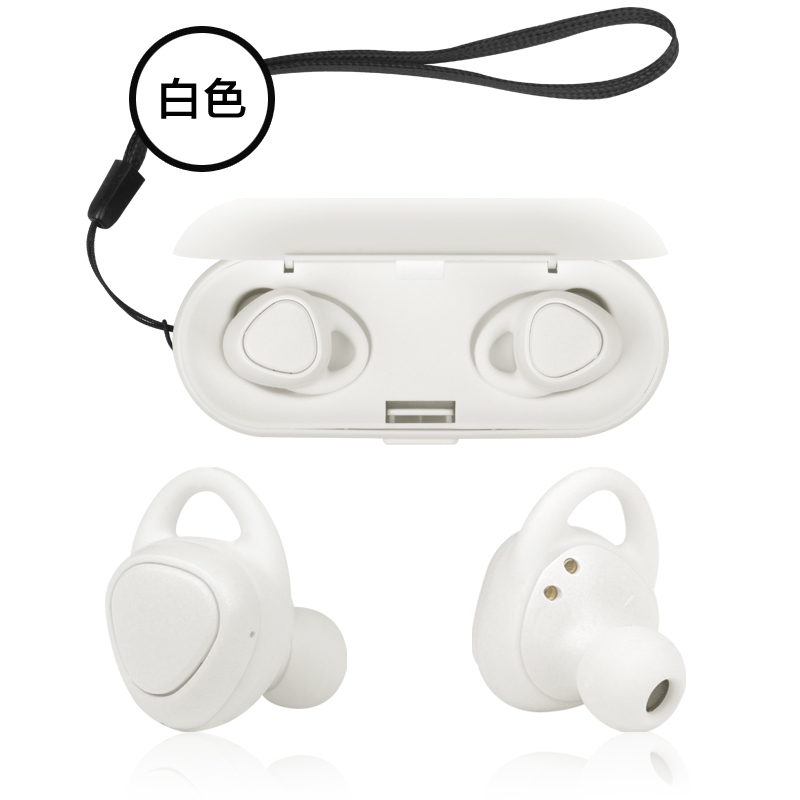 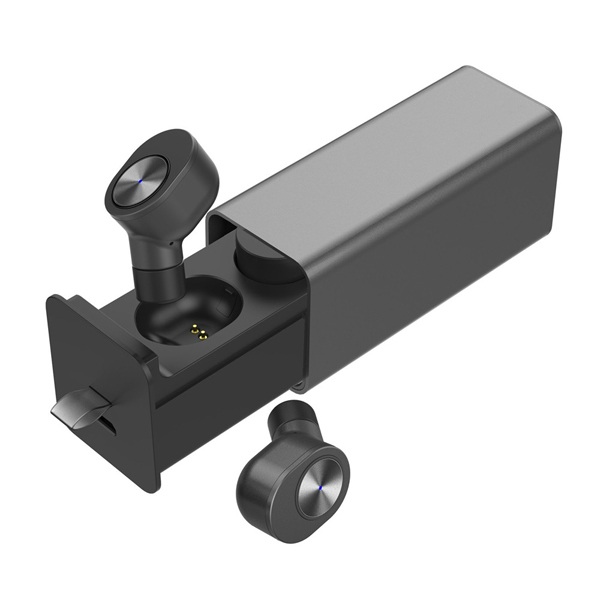 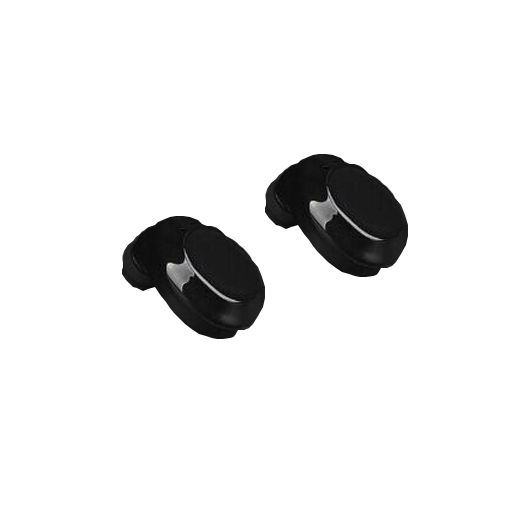 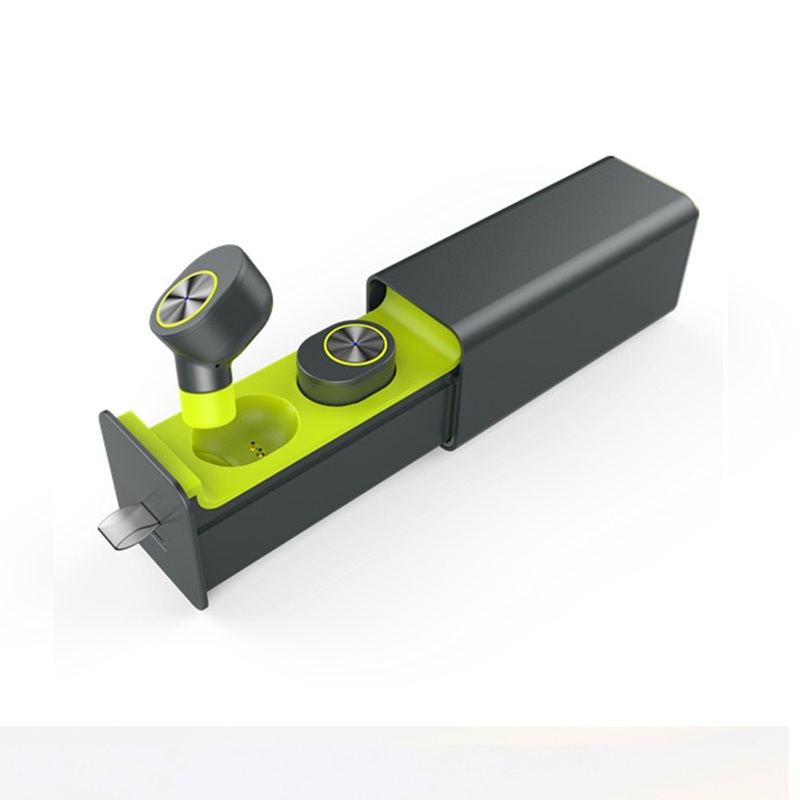 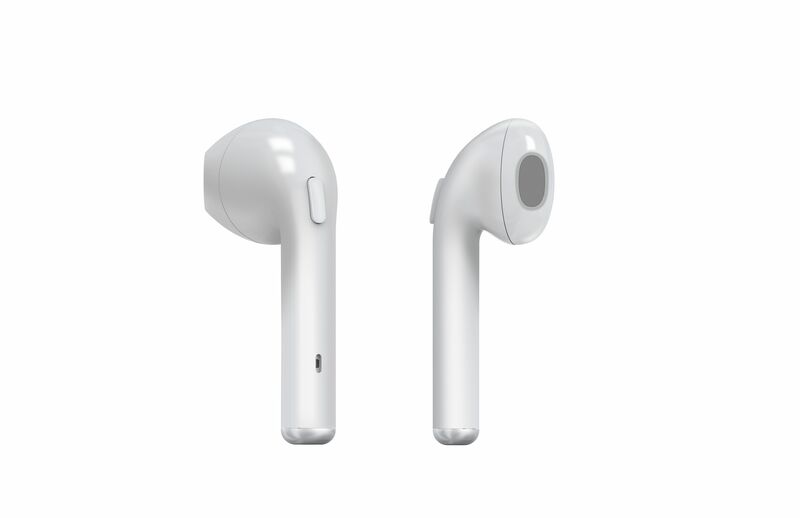 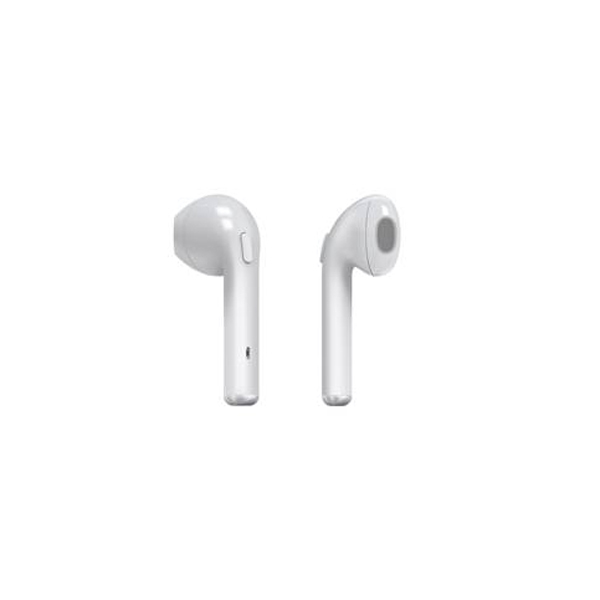 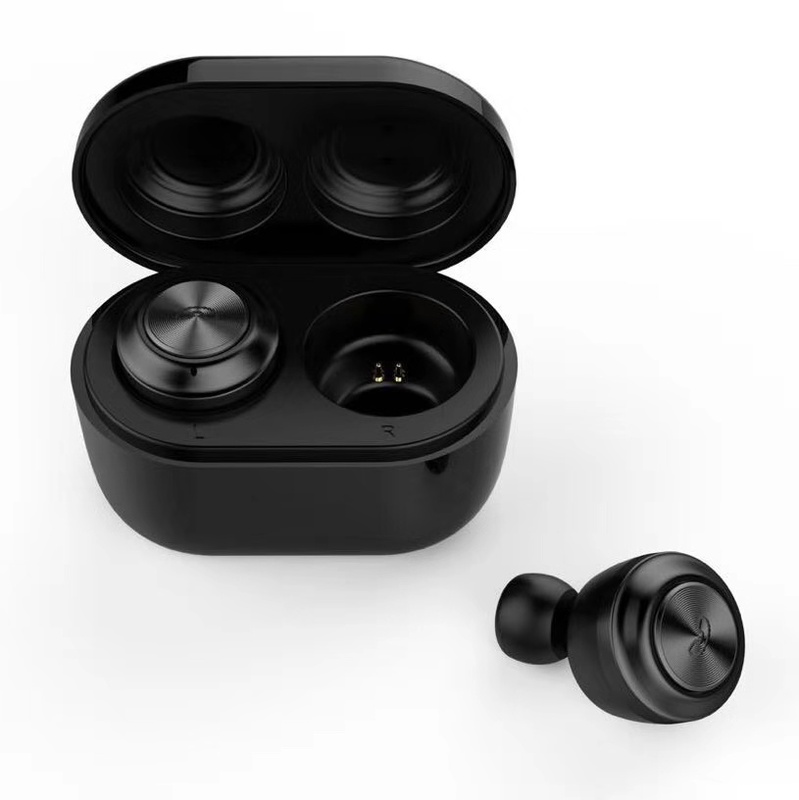 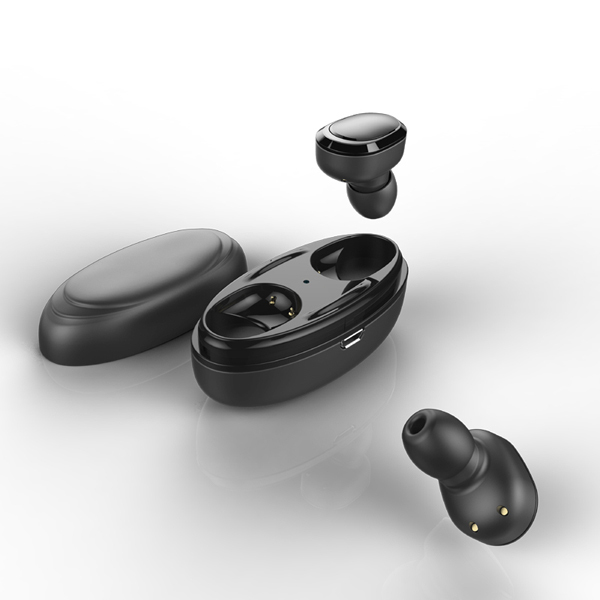 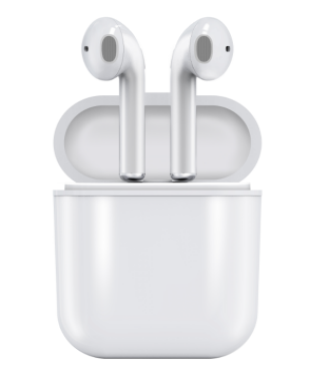 Choosing the mini component, the net weight for single earphone is 4.6g,makes the appearance smaller,wearing painless.